It took me so long to jump on this bandwagon. This palette has haunted me forever through social media. I could hold myself back, so when it was in stock from a local trusted seller, I just have to get it. Usually, it will be sold out in just a day. Glad I finally have it.This is the most loved eyeshadow palette from most beauty gurus in YouTube for 2016. It is the Modern Renaissance Palette from Anastasia Beverly Hills. Features warm colours that perfect for a natural look and of course warm glam look. It comes in a suede outer packaging and the inside is cardboard. I like the suede detailing but yeah, it takes a real deal to care for it. I try my best to avoid any stains on it like what I did with my Naked 1 palette. It comes with a dual ended brush which I loooveee! I don't usually like brushes that come with the palette, but this one is the real deal. The blending brush is amazingly useful and works amazingly good. I had this for a few months now but I don't really go through everything. My favourite go to natural looks shades are on the left side. Golden Ochre, Raw Sienna & Burnt Orange are an amazing transition colour. Vermeer & Primavera area my favourite all over lid colour. Cyprus Umber & Realgar are y favourite outer crease colour. Beware of fakes one. There are all over the market. Sad thing :(. Overall I really love this palette, the variety of warm colours it has and how super pigmented the shadows are. Last few weeks I got the chance to go to Desaru and had our Iftar there. What caught my attention is the name of the Buffet. It is called the Exotic Arabian Night Feast. Pretty catchy right? It is located in Desaru. We drove there by car from Johor and it takes us about 30-45 minutes. As we arrived I was amazed by the ambience of the resort. 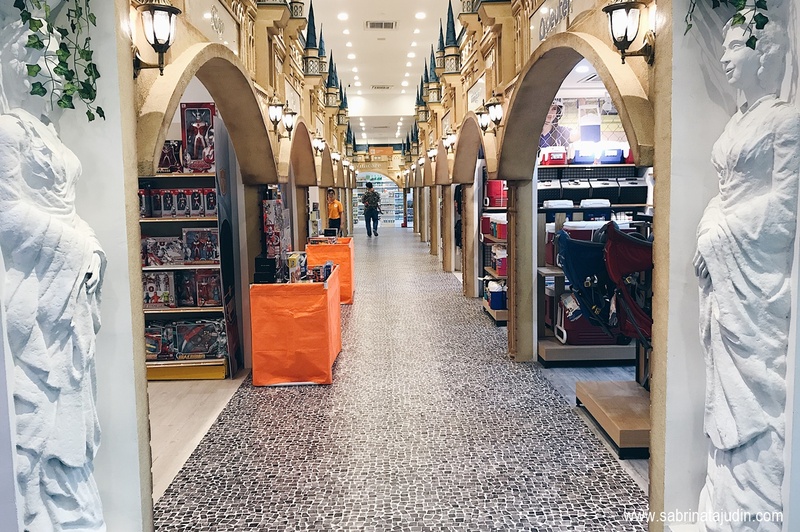 It is fully renovated with new features and attractions. The buffet was held in their new hall that they build specially for events like this. Here are a little tour on how the hall looks like and surroundings. As we arrive, we were greeted with some door gifts. This is exclusively for all guest that dine in the Exotic Arabian Night Feast buffet. All of the staff are also wearing Arab theme costumes. So cool! There was also Ghazal Performance during the buffet. There were over 170 delicacies there! There is also indoor and outdoor tables where you can dine in. Food highlight such as Rusa Panggang, Chef daily specials and more. The indoor part features more local foods such as traditional "lauk" which has to be my favourite. There were Mix Vegetables with Oyster Sauce & Mushroom, Ikan Masak Lemak Nanas, Oven Baked Lamb Shoulder with Mushroom Sauce, Kashmir Fish Curry with Okra, Grilled Chicken with Pomodoro Sauce, Salt & Pepper Prawn, Fried Wonton Noodles, Condiments such as salad bar, sambal belacan, tempoyak, telur masin and many more! 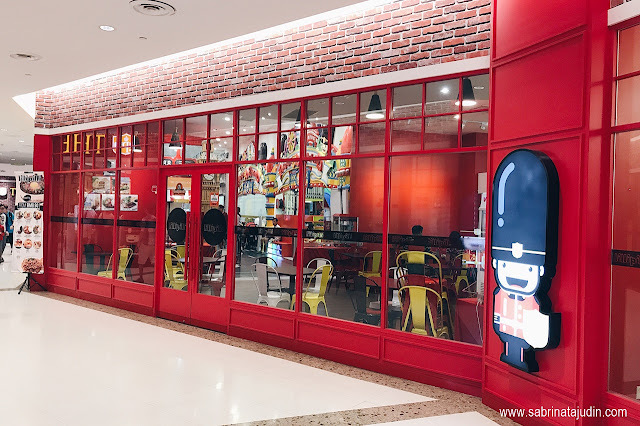 The outdoor section features made to order menus such as Rusa Panggang, Pasta, Soups, Noodles and much more. The star section has to be the Arab section where they have the Nasi Arab. 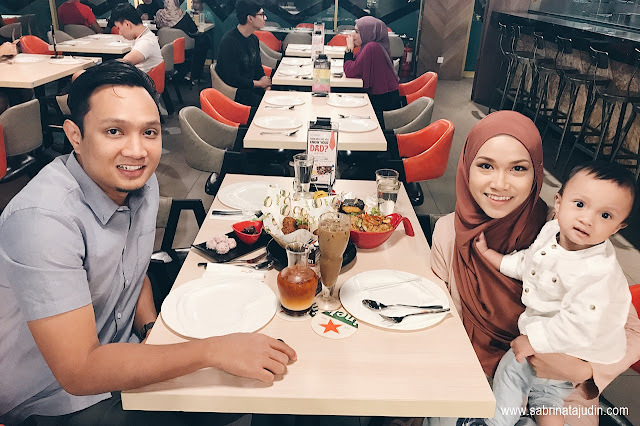 They switch up to different Nasi Arab menu during the buffet. Last time it was Lamb Naid Arab, when we came it serve Fish Nasi Arab. It was an interesting menu and of course, delicious! They are also wide choices of desserts, such as kuih-muih, cakes, fruits, ABC & Ice Creams. Happy Sunday guys! I finally manage to sit down and go through my blog today. This Ramadhan month has the busiest month due to my business. Alhamdulilah. But skincare is a must. I have been trying out a lot of skincare recently, switching out a few combos that I include both in my Morning & Night routine. My skin has been pretty good this month although from the fasting and all that jazz. Recently Mamonde has launched a new skincare range called the Floral Hydro Hydrating Power of The Narcissus Bulb. Absolutely lovely, as I have dry skin. A little bit story about where this skincare inspired from, through research and understanding of the nature of the Narcissus. Mamonde develops from the goodness of the amazing properties of the Narcissus flower that blooms over 80 days as it has the capability to store water filled in their bulb with water. It can stand through the dry season or even winter season. It also produces multiple flowers on a single stalk as it supplies water from the bulb to the stalks with strong water circulation power. Experience long lasting hydrated sin with these products. First of all, the Floral Hydro Ampoule Toner. Developed using the Water-Cycle, a moisture circulation system that locks-in moisture to the skin. After cleansing, your skin will lose it natural moisture. This toner helps to relieve the skin from dryness & tightness. This toner has a thick texture, not watery texture like most toner has. It contains ampoule, which usually found in serums. It absorbs instantly to the skin provides instant hydration and provide moistness & provides your skin with a thin layer of hydration to keep your skin from dehydrated. I found that even after using the toner, my skin already looks dewy and healthy. It feels like I already applied, toner+essence+serum in one application. This retails for RM89.00 for 150ml of product. Next is the Floral Hydro Emulsion. It is an improved Floral Hydro Emulsion that features Dual Hydration. What is that? It provides double moisture barrier without the stickiness feeling. It helps to balance out the hydration of the skin and leave skin without feeling like "you are wearing too much skincare". You know what I mean. This contains Coconut water-soluble moisturizing ingredient and also Sugar Cane oil-soluble that provide ultimate hydration to the skin naturally. The texture reminds me of the previous toner actually, but as you massage it onto your skin, this absorbs absolutely nicely just like a very light serum. I like how it comes with the pump bottle. This retails for RM89.00 for 150ml. Next, the Floral Hydro Cream features light texture and strong moisturising and Double Matrix Moisture Locking. One of the best seller in this range. It is an improved cream from the previous version that has a better level of moisture level for the skin leaving skin feels refreshed with cooling sensation when applied. Due to its high level of hydration properties, this also works great for day use or even as a sleeping mask for night routine. The texture of the cream looks like a thick white cream from the jar, but actually, it's a transparent white cream to gel texture. Very lightweight and does not leave any sticky feeling to the skin. Compare to the next product I will be reviewing, the Eye Gel Cream. The Hydro Cream retails for RM109 for 50ml jar of product. My current favorite eye cream and has been using it ever since I got it. This is the Floral Hydro Eye Gel Cream. It contains 91% moisturizing properties with a small amount of silicone (9%). I really love how it leaves my eye area feels refreshed and cool. It does take a while to absolutely absorb to the skin, but when applied, my eye area feels really refreshed and awake. It said that it coast the eye area surface and acts like an eye mask. It provide a perfect base when I applied under eye concealer. This retails for RM99.00 for 20ml product. Also, Mamonde is now available online at 11 street if you don't know. 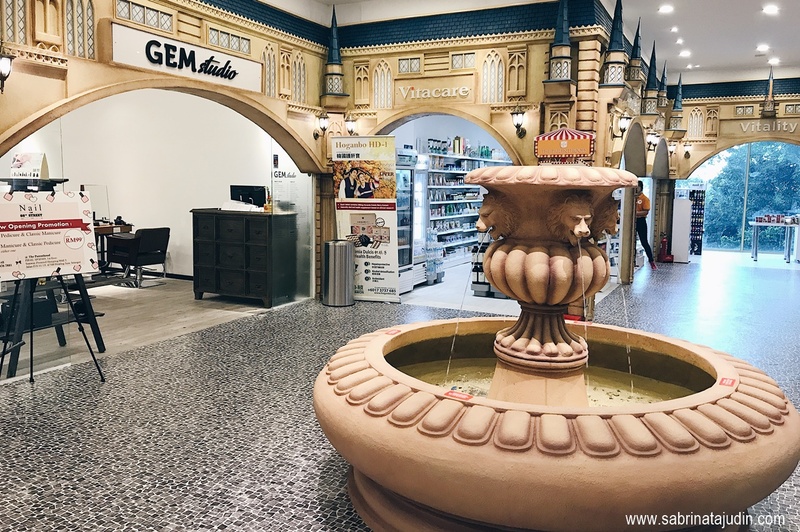 You can also get Mamonde skincare range and products at Mamonde beauty counters such as Aeon 1 Utama (Petaling Jaya), Aeon Mid Valley Megamall (Kuala Lumpur), Aeon Bukit Indah (Johor Bahru), AEON Tebrau City (Johor Bahru), AEON Queensbay Mall (Penang) starting from June 2017 onwards. Let's have fun this School Holiday at Sunway Pyramid New West Wing! There is no better way than doing some cool activities with the kids during the school holiday! Recently, Sunway Pyramid extended a new shopping & activity area at their west wing. 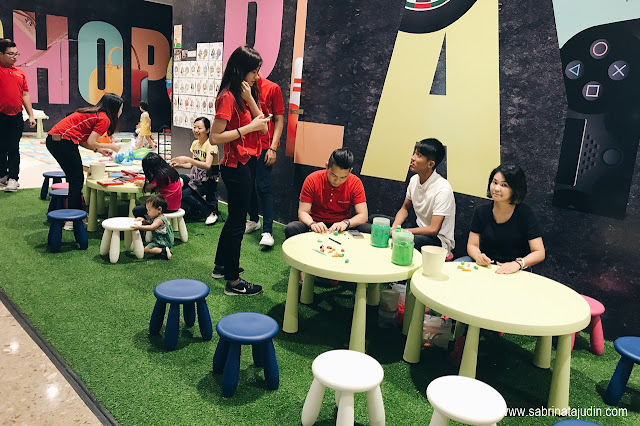 Currently, they are having events and activities for kids and families during this school holiday. The activities will be held from 26 May to 11 June 2017. Activities range from fun gym classes, colouring, playing with air dry clay and much more! 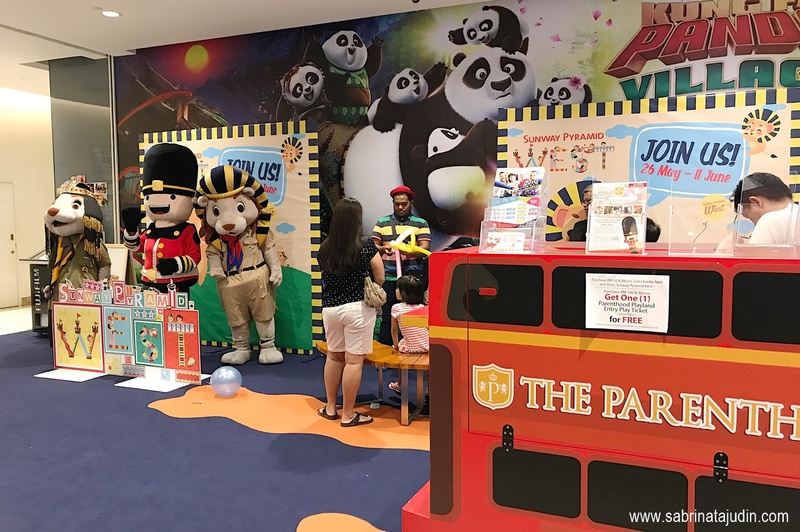 You also get to meet Leo and Leona, Sunway Pyramid's mascot as well as Kingston, The Parenthood’s mascot. Special events includes Shaka Workshop on the 3rd, 4th, 10th & 11th June @ 10.30am. 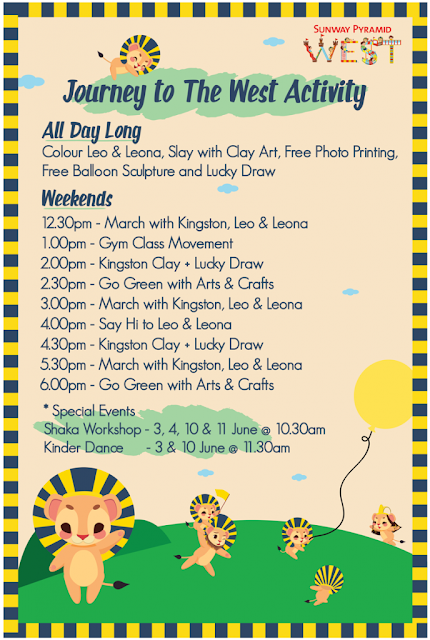 Also, fun Kinder Dance activity on the 3rd & 10th June at 11.30am will be held at the new West Wing area. 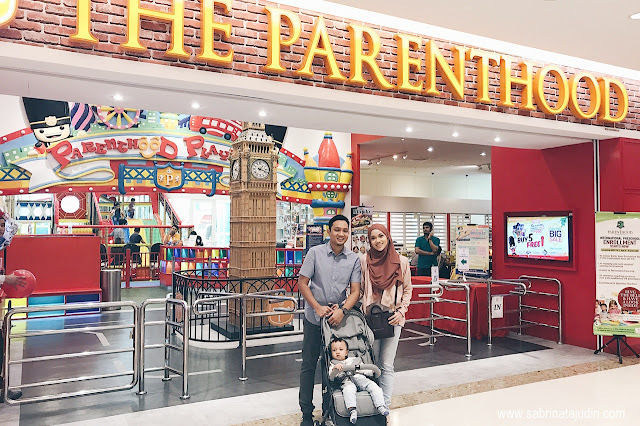 It is located near the Parenthood section, just take 1 level down via the escalator near The Parenthood area. We had fun walking around there as there are so many new shops & play area to explore. One of them is The Parenthood. Its a fun kids theme park that I was thrilled to explore! 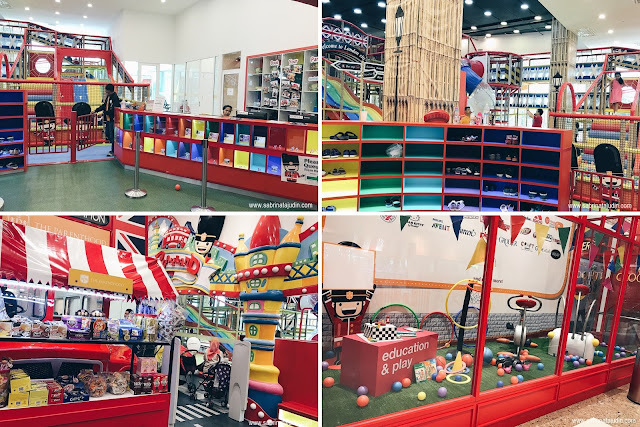 You may enter the outer area of the Play area to walk around the shops and I am going to give you a little tour later below in this post. Just opposite The Parenthood area, there is an entrance to more shops. 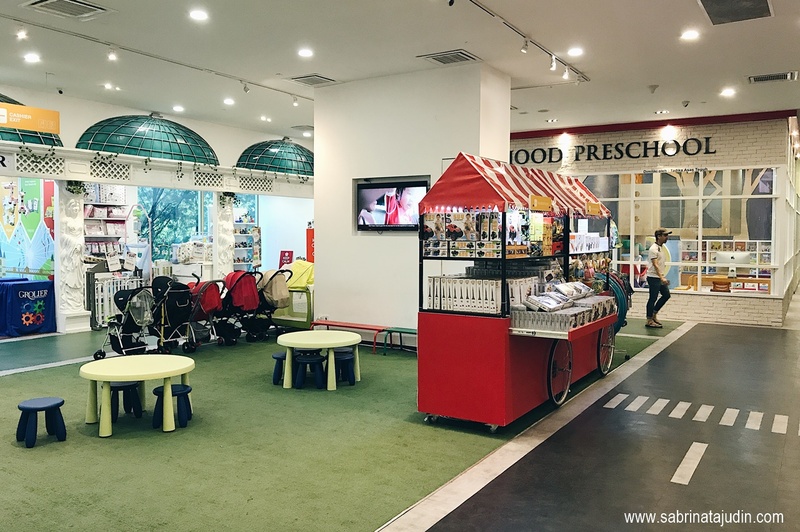 Just in front of it, there is a spa and hair salon that parents can enjoy while your kids have a great time at the Play area. How cool is that? 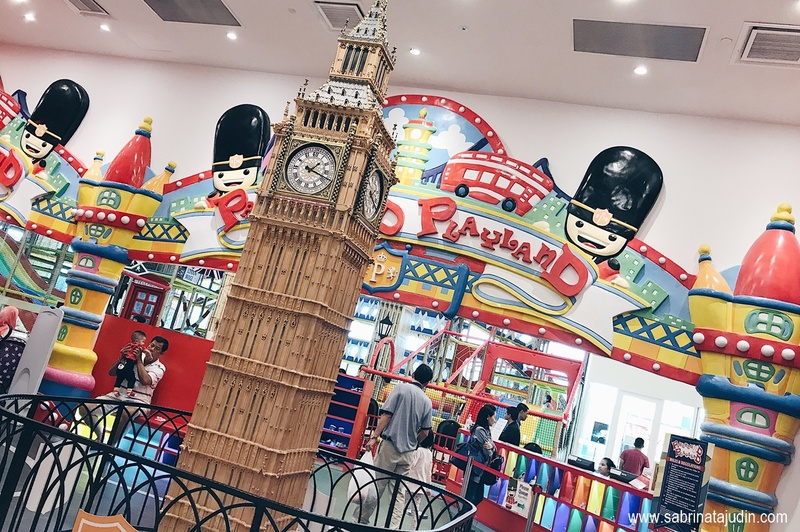 Kids, have fun, Mommy & Daddy can have a me time <3. 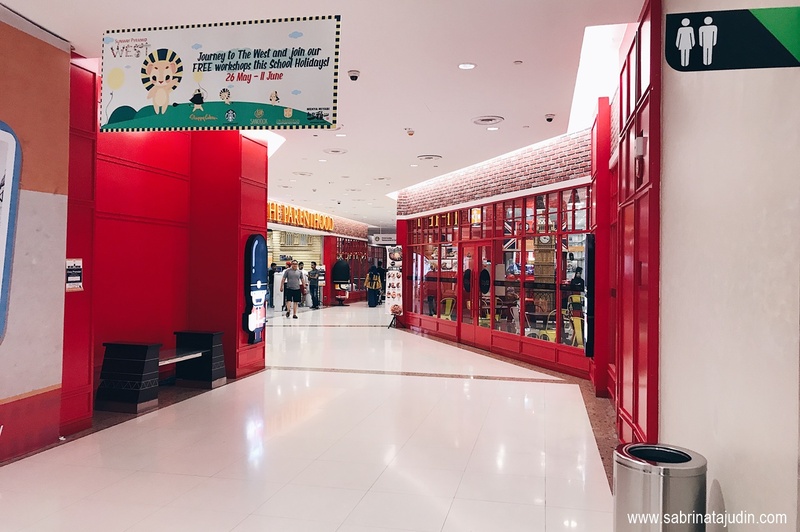 As you walk in there are more shops consisting of baby & kids toys, merchandise & much more. 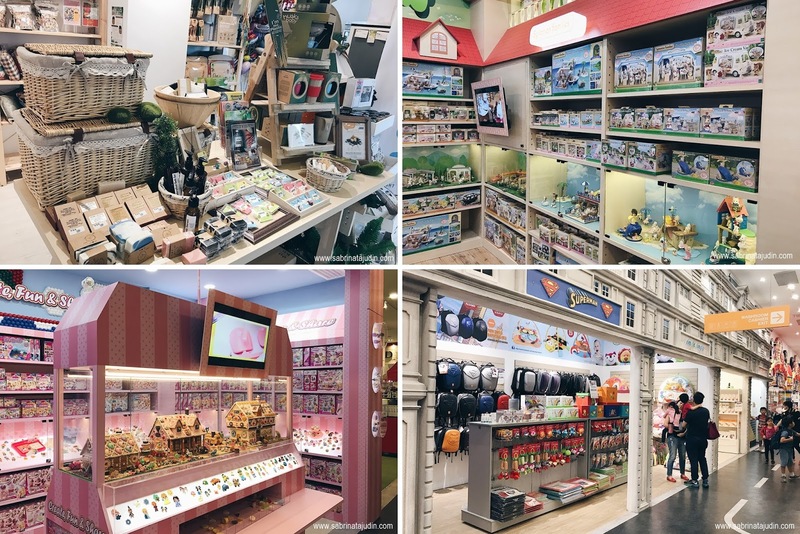 I saw a lot of toys shops such as the Sylvanian Families toys, Lego, Hello Kitty and much more. 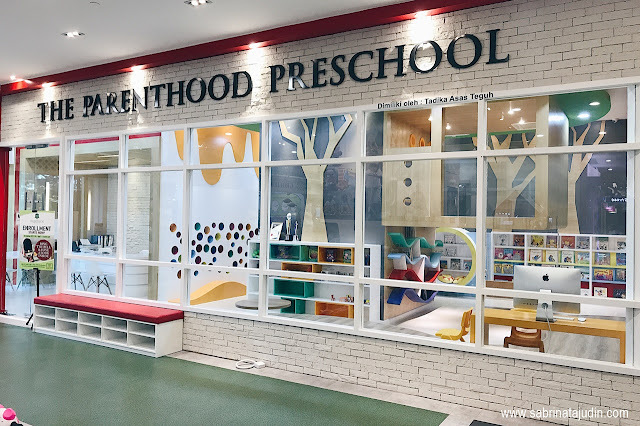 The Parenthood also has its owns Preschool that you can check out. I really love how the classrooms look like. It looks really fun! Moving along there are more shops to explore! Alongside with that, do explore the new restaurants to sure to make your cravings satisfied! 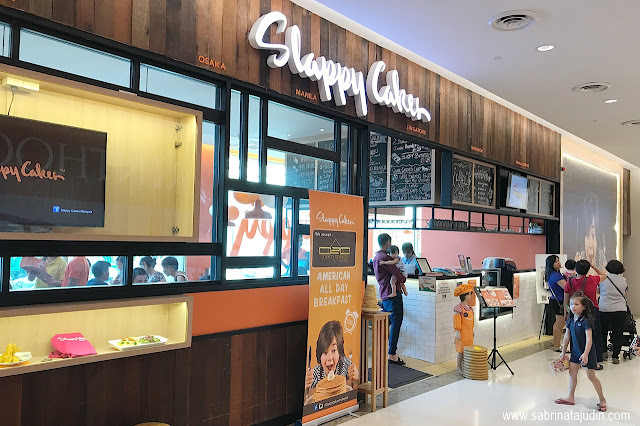 The new restaurants such as Impressoul, Slappy Cakes (a restaurant where you can make your own pancakes and food on a hot plate right on your table, cool! ), and much more! There are 2 ways to access to the new West Wing. One is through the PadiniConcept store located at LG1 and one more is through the Green Zone car park. One of the landmarks is The Sanoook restaurant. 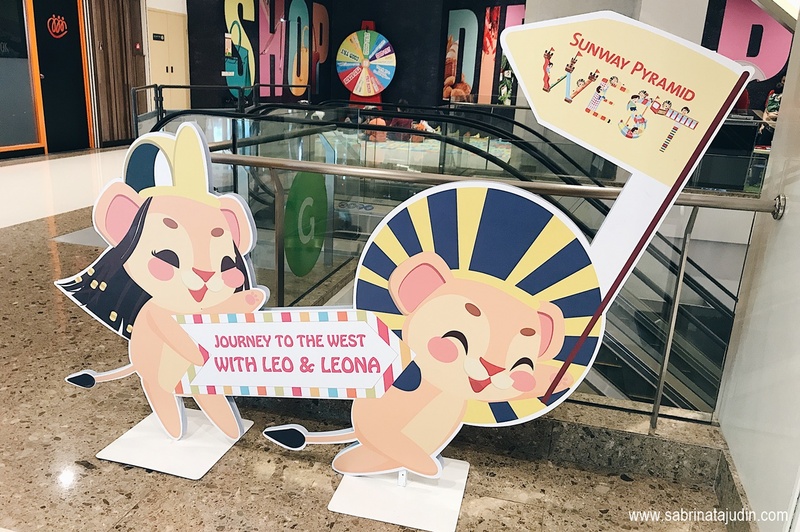 You can also find Leo & Leona around Sunway Pyramid for directions. 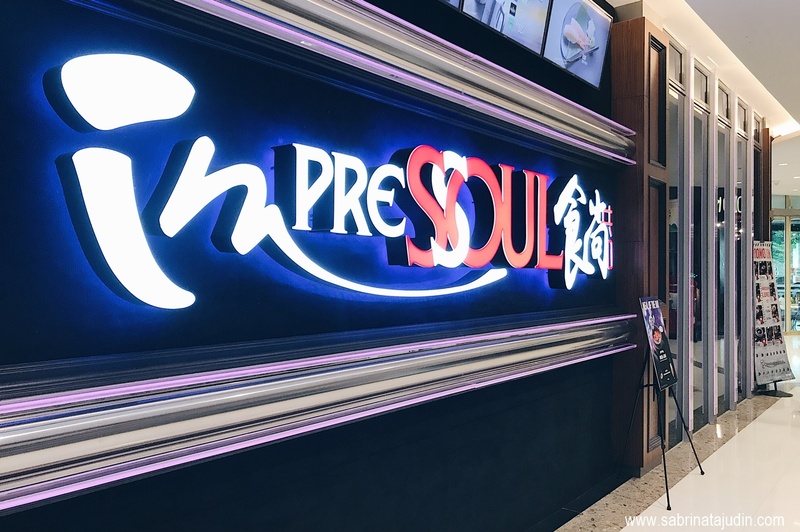 After having fun around the new Sunway Pyramid West Wing, we had our Iftar at the Thai-Japanese restaurant called Sanoook. The food is really great! You need to try their skewers & Sushi Burger! 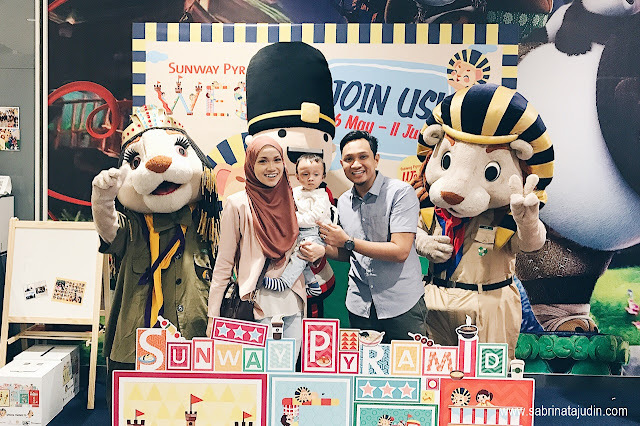 So don’t forget to check our Sunway Pyramid new West wing to explore endless fun & activities there with your kids. You don’t want to miss this! <3 The special event will be held from 26 May to 11 June 2017.